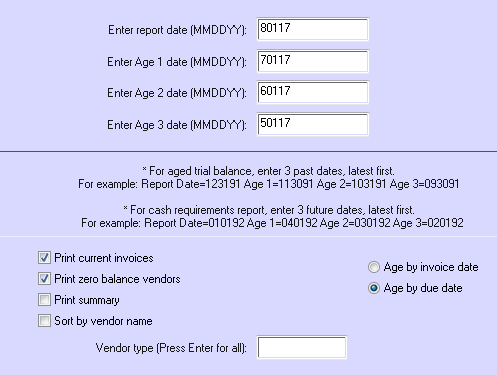 Select a vendor type to print (such as LIN or OWN) or press Enter to print all. 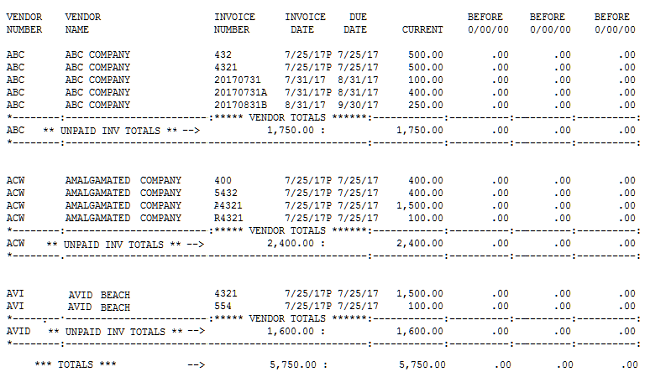 This report will print the invoice and payment transactions for the selected vendor type, date range, and vendors. Answer each prompt as appropriate for the information you want. This report shows vendors and the balances owed to them. You also can print each unpaid invoice. 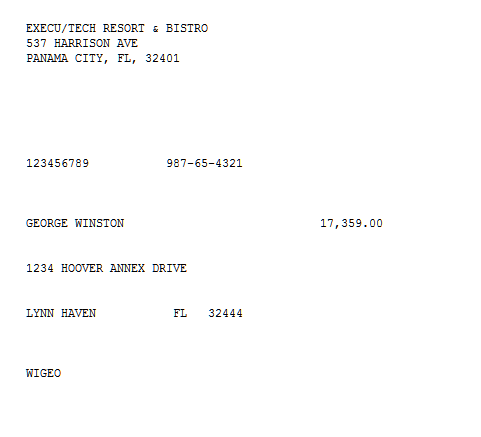 Paid invoices do not show on this report. See Print Detail Report for that information. You can print forward to see what you owe down the road. You can print back dates to see what is past due. Aging forward (future dates) will show what is due as of each of the dates you enter for the "Age" dates. Aging back (past dates) will show what was due as of each of the dates you enter for the "Age" dates. You can leave the "Age" dates blank if you want a simple list of vendors owed and what is owed to them. Check the appropriate options depending on the information you want on your report. 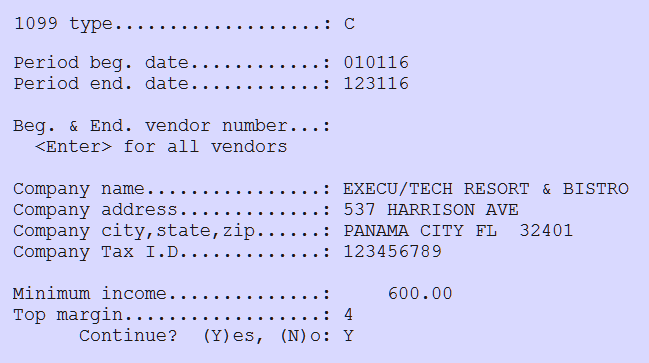 Each vendor to receive a 1099 should have the appropriate fields populated, as shown below, "Tax ID Number"; "Misc. ", Individual"; and "1099 Group". 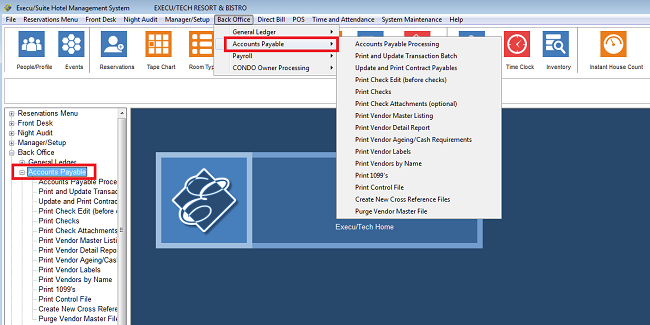 See the Vendor Setup section in A/P Setup for details and explanations. Go to Accounts Payable - Print 1099's. Fill in the information as prompted. When the program has finished, a popup will let you know. The report will print. Note that this report only populates fields. You will need to purchase or download the report form from the appropriate tax authority. Training is available. We offer both remote and on-site training. Email us to request a quote.